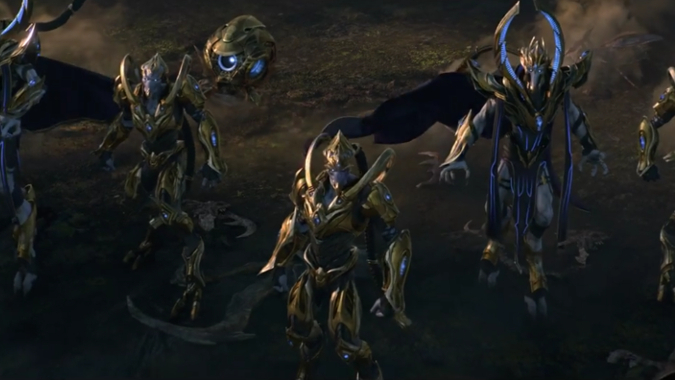 StarCraft 2: Legacy of the Void will release November 10, 2015. The date was announced live immediately after the conclusion of today’s WCS event where Grzegorz “MaNa” Komincz advanced to the Grand Finals on the road to BlizzCon. In addition to the release date, the Legacy of the Void cinematic was revealed, and you can watch it below. More, Chris Sigaty announced Reclamation, an animated short in the vein of World of Warcraft: Warlords of Draenor‘s animated shorts, Lords of War. Reclamation will debut next month.